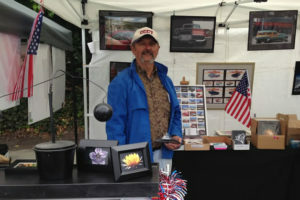 Members of ECAA can sign up for a free booth at this year’s July 4 festival. Every year visitors look forward to our booths. 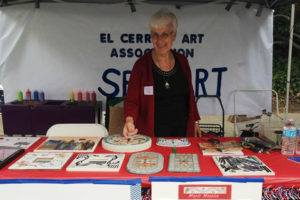 It is an opportunity for members to show off their crafts, jewelry, printmaking, photography and ceramics at a venue provided free of charge. 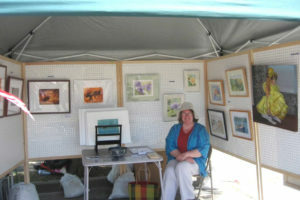 In the past we have had mosaic, watercolor, origami, pastel and oil painting demonstrations throughout the day. Would you like to do a demonstration? 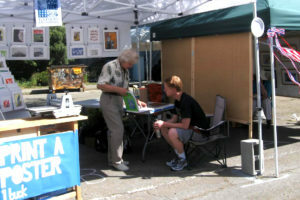 Would you like help at our information booth?